NASA shared the picture of 9/11 attack, Astronaut who seen 9/11 attack from space said, Tears don't flow the same in space. NASA shares a picture of September 11, 2001 attack on twitter. This picture was taken from NASA's International Space Station on that day. On Tuesday, the US tributed the 17th anniversary of the most horrific terrorist attack in its history on September 11, 2001. On this occasion people remembered the tragedy of the attack and the victims. President Donald Trump paid tribute also. On this occasion, NASA gave a different tribute to the occasion. 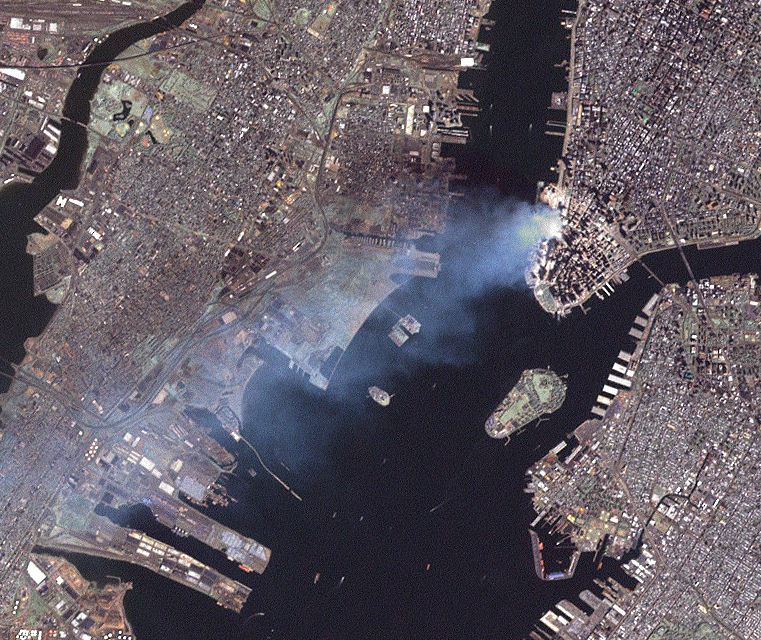 NASA shares a picture of September 11, 2001 attack on twitter. This picture was taken from NASA's International Space Station on that day. You can see many pictures on Google. In this photo, smoke is rising from World Trade Center building in New York. Osama bin Laden's terrorist organization Al-Qaeda had hijacked three aircrafts and crashed on the famous World Trade Center and Pentagon Buildings in New York, on September 11, 2001. The terrorists had also hijacked a fourth plane, when The people and crew members tried to relieve the plane from the terrestrial then terrorists had crashed that plane in a farm in Pennsylvania. In this attack, around 3,000 people were killed and thousands of people were injured. The official number of dead and missing is 2,753 But the sad fact is that only 1,642 of them could be officially identified. Due to this tragedy, people still die even after 17 years. After the attack, poisonous gases and smoke made thousands sick. It is estimated that every two and a half days in America, a person died because of this attack.